Pat Massa recounts the day on Smith Mountain Lake last summer when a wakeboard boat zoomed by, 20 feet from a dock with 15 boats tied to it. As soon as the wake hit the dock, every boat either had its dock lines snap or its cleats ripped out of the dock. “It was like a rodeo trying to get all the boats back,” he says. 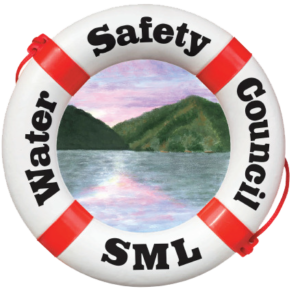 Massa is chairman of the Smith Mountain Lake Water Safety Council and is intimately familiar with the problems wakeboard boats cause on the 26,000-acre lake located southeast of Roanoke, Virginia. Aside from damaged docks, Massa says, large wakes also cause damage to the shoreline; erosion causes trees to topple into the water, and property owners increasingly need to make expensive repairs to their waterfronts. Massa is quick to point out that most of the problems are caused by a small percentage of boaters who he says are hurting the sport. In fact, he says, some wakeboat owners are also part of the Water Safety Council and have worked together to distribute “Watch Your Wake” brochures and plan to put up billboards to educate boaters who come from out of the area. Avoid close passes to other boats, and don’t follow another boat too closely. Don’t impede traffic. Wakesurfers usually travel at 10 to 12 mph. Avoid wakesurfing in fairways and busy areas. Keep music at a responsible level; sound travels much farther than you think on the water, and loud music can ruin other boaters’ peace and quiet. In case you haven’t seen these boats yet, wakeboats look a lot like ski boats and are designed to make very large wakes to make it possible to “surf” or wakeboard on almost any body of water. While they’re typically much slower than, say, ski boats, they make wakes the size of much larger boats, and boatbuilders are constantly refining their products to make larger and better shaped waves using ballast tanks, wedges, and fins. The problem, of course, is that wakes don’t just stop after the ride. While they may flatten a little over distance, most of the energy is dissipated when the waves reach shore, and wakeboats can cause large and confused wake patterns for other boaters. Many municipalities now have regulations on how close wakeboats can be to a structure or shore (usually 100 to 200 feet), but the waves can still do damage even when they’re made a long way away. Wakeboats are one of the fastest growing segments of the boating industry and as more of them are on the water and as more craft are wake-averse (small pontoon boats, stand-up paddleboards, sit-on kayaks, and so on) there’s bound to be friction between those who want to surf on the lake and those who want to have a peaceful outing. Better rules enforcement is one answer, though damage or injuries from a specific wake are often hard to prosecute without video evidence. As Massa says, “Smith Mountain Lake has 560 miles of shoreline and it’s impossible for law enforcement to be everywhere.” Some states such as Missouri have passed new laws that can hold the boat owner responsible for wake damage or injuries if the operator can’t be identified. Other municipalities have gone so far as to pass ordinances that prohibit “artificially enhanced wake” on local waterways. Some have compared wakeboat issues with those from personal watercraft (PWCs) 20 years ago, and the industry is stepping up to help. Last year, the Watersports Industry Association (WSIA) began a campaign to educate wakeboat users called “Wake Responsibly.” WSIA and BoatUS also advocate the responsible use of wakesurf boats. We’ve compiled a list to help wakeboat owners minimize conflicts and share the water responsibly.